Try out Android, Windows 8, any live CD and more, on your computer without messing up your bootloader (or worse.) With VirtualBox it’s easy, if you think creatively. VirtualBox gives you an easy way to create “virtual boxes”, a sort of computer inside your computer you can use to try out new operating systems and learn more about how computers work. 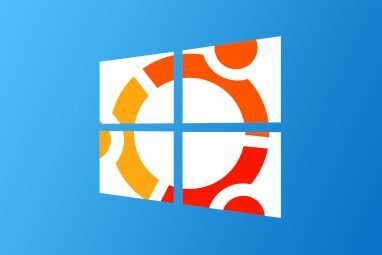 Lachlan Roy’s MakeUseOf manual on VirtualBox explains how to set up Windows XP, Windows 7 and Ubuntu within VirtualBox so you can use those operating systems at any time, without the need to reboot. Those aren’t the only uses for VirtualBox, though. Here are some creative uses for VirtualBox you probably haven’t considered. Curious about the future of Windows? You should try out Windows 8, available free as a developer preview. Windows 8 isn’t exactly stable, and doesn’t run perfectly in VirtualBox. With a few tweaks, however, you will get a feel for what Windows will be like come Autumn 2012. Thinking of buying an Android device, but wish you could give the operating system a spin before you spend your hard-earned cash? Set up Android in VirtualBox to take a quick test drive. It’s possible thanks to AndroidX86, a port of Android to the PC. You won’t get the full Android experience – notably, there isn’t access to the Android Marketplace. You will, however, get a feel for the default apps, and the system’s excellent integration with Google services such as Gmail and Google Calendar. Interested? You’ll find instructions for setting up Android in VirtualBox on the AndroidX86 page. 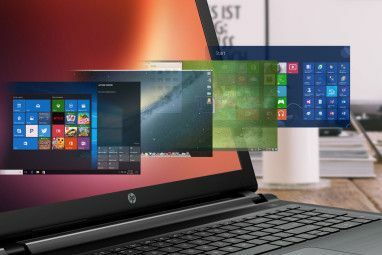 While we’re talking about using VirtualBox to try out different operating systems, don’t feel like you need to install a system in order to try out it. There are hundreds of free live CDs out there that you can easily run, as I point out in my Live CD Manual. You don’t need to burn a CD and reboot your computer to try them all out, though. With VirtualBox you can simply mount the ISO and boot from within your current operating system, giving you the ability to test every live CD out there. Give it a shot! Do you like VirtualBox, but wish it was easier to work with software in your native operating system and software in your virtual one? You should check out VirtualBox’s seamless mode, which blurs the line between one system and the other. It’s easy to use if you have the VirtualBox guest additions installed already, but read more about VirtualBox’s seamless mode VirtualBox's Seamless Mode: Combine Two Operating Systems Into One Desktop VirtualBox's Seamless Mode: Combine Two Operating Systems Into One Desktop Read More if you’re having trouble. Do you have an old computer you only occasionally boot up to access a particular piece of software? It’s possible to move that entire system to a virtual machine, though it’s not entirely easy. Check out this tutorial on the VirtualBox website and see if this process will work for you. Alternatively, you could convert your existing hard drive to a Windows Virtual PC drive Create a Virtual Machine Clone of Your Existing Windows Hard Drive Create a Virtual Machine Clone of Your Existing Windows Hard Drive Virtualization allows one operating system (OS) to run on another OS. We'll show you how to create a virtual machine clone of your system and how to use it. Read More . These are, of course, just a few creative uses for a virtual box. Can you think of better ones? Please, grab yourself a drink and discuss. I’ll be here to chat with you in the comments below. Explore more about: VirtualBox, Virtualization. Hey, Justin. Your AndroidX86 link is incorrect. It led me to a MUO 404 page. Thanks Jeff, I've already downloaded it, the URL just had the MUO address at the beginning. I was just notifying Justin. VirtualBox was fine, until I realised you can't drag and drop files to and from the VM. This is such a frustrating limitation. how to set up a transfer folder? If you don't get assistance here, open up a question and we will help you out. The VBox guide (see Similar Stuff above) tells you how to do it. I realise that VB has this feature, but to me, it's such a weird thing to do that I look at it as a workaround, not a feature. I'd really prefer it if I could just drag and drop. When I set up my VMs, I choose to isolate them from the main system. I don't know… I think it depends on how you look at it. I see a folder on my system which is basically a shared folder with the VM is un-isolated. I mean in terms of the filesystem. Drag-and-drop is not isolated, but it doesn't mess up my filesystem, which is almost immaculate. Still an awesome app though, especially the fact that it's free (open source). 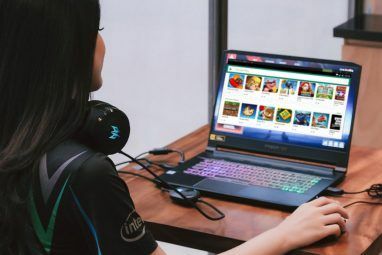 It would be pretty hard to implement that kind of drag-and-drop, but it's a great idea. Someone should get on that. I know VMware implements it using a software that you install onto the VM. Drag and drop doesn't work on that until I install the software (Linux and Windows). I have a usb modem and linux on my pc.. but linux drivers dosn't play nice with my modem so i installed windows in a virtual box, connected my modem to internet in Vbox then massed up with network settings so now i got internet on my linux box..
Wow; that's an amazingly complex way to get Internet access. Awesome.